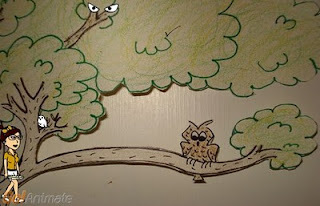 Hoot the Owl and his Wisdom Tree are a creation of GoAnimator, TheseStars. I'm not sure if I just happened across her first animation of Hoot or if she asked me to watch but in any case I liked the idea a lot. This wasn't very engaging to look at in the sense that it wasn't animated - something you would expect on an animation site. I had a feeling the character would have much more appeal if some movement was added. I was in the middle of working on Harry Chalk 2 but, looking at the drawing of Hoot I thought I could probably make an animated version with the most necessary basic moves very quickly. So that's what I set out to do. 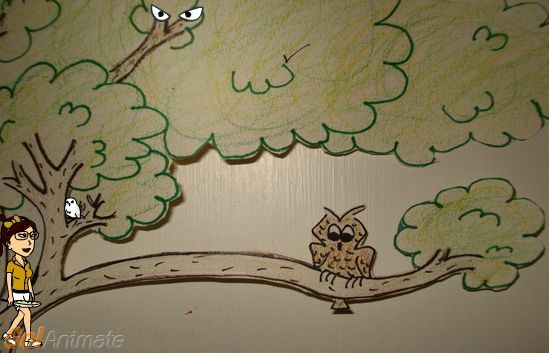 In the space of an evening I had created (in flash using Koolmoves) Hoot's Wisdom Tree as a prop - so any background could be placed behind it - and Hoot with 'sleep', 'stand' and 'Talk' actions. TheseStars was very happy with the finished results and went on to make the animation below - which was awarded with a Staff Pick on GoAnimate. I think you'll agree the animation she put together is extremely engaging, dynamic and adds plenty of personalty to all the characters with her excellent voice work. 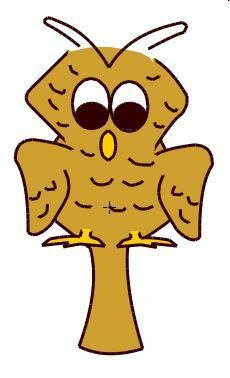 Over time I hope to add a few more actions to Hoot but it's really quite amazing at how much life just those three initial basic actions have given to this fun little owl with a liking for anagrams. There are Total 12825 words containing this word. A Win for Tigers, the WWF, TET and GoAnimate.